Hello Sugar Land business, and thank you for visiting our site. Is your parking lot in need of restriping? Are you a new business in the area that has a new parking area that needs striped? No matter the case, we are ready to assist you with all of your parking lot maintenance needs. We are professionals, and our experience is next-to-none. We paint the straightest lines in the business and your parking lot is going to look spectacular. We only use the highest quality materials and equipment for striping your lot. This allows us to ensure that all of our lines are consistent both in width and color. Experience, and a little bit of skill is required to paint straight lines, and having the right equipment helps too. Our entire crew has been well versed in the city fire codes, as well as the American Disabilities Act (ADA) requirements. 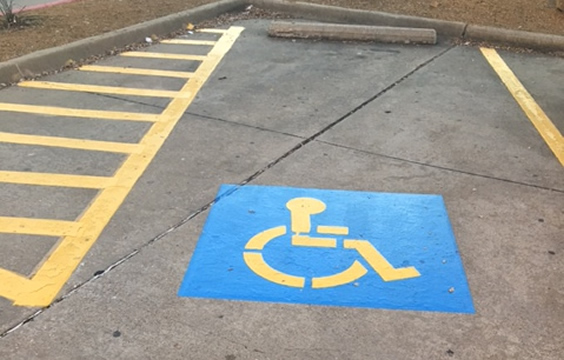 We will make sure you have the proper amount of handicap stalls, and that your fire lanes are marked clearly as to follow code. Do you need no parking zones, loading zones, tow away zones? No problem we have got you covered. We can also provide you with all signage that may be needed on your lot. If you need directional signs or directional arrows painted on the asphalt just let us know. If we feel it would be beneficial for your lot we will also make these types of suggestions to you. 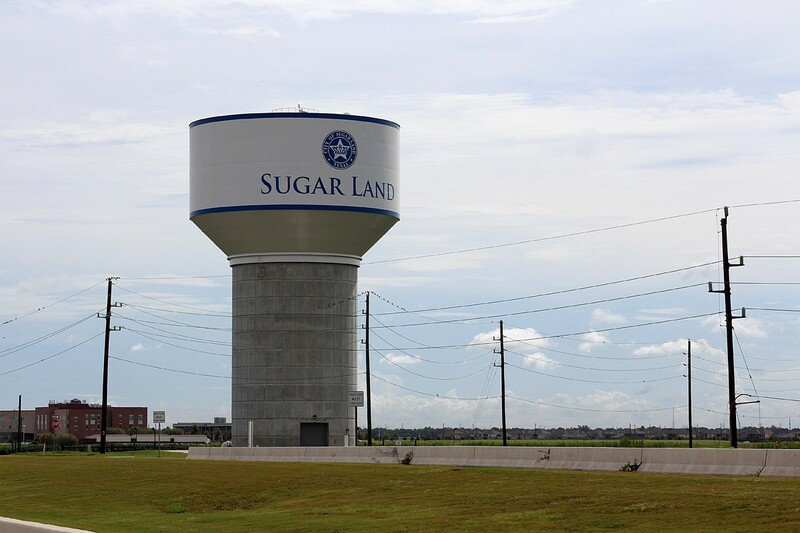 Taking a survey of our fine city, we see many high-profile regional and international corporations have selected Sugar Land as their corporate home. Minute Maid, Schlumberger, Tramontina USA, Fluor Corporation, Bechtel Equipment Operations, Noble Drilling, Money Management International and Aetna, all call Sugar Land home. The city boasts a business-friendly environment, and hope to stripe every parking lot in the area. Providing exceptional parking lot striping services is what we do best. We specialize in the following asphalt striping services that will ensure your lot has a long lasting and fresh appearance. We service all types of businesses. The only requirement is for you to have a parking lot. Here are some of the most common types of businesses we service in the Sugar Land area.